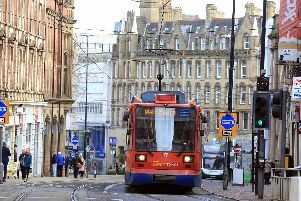 Sheffield has built up a reputation as a paradise for students with thousands choosing the city as their place to study every year. The city has built a tremendous relationship with its students but it seems all is not well in one part of Sheffield. One Ecclesall Road resident has taken to an online forum complaining about excessive noise and ‘outdoor mass gatherings’ at the weekend. The frustrated resident has suggested raising the noise complaint with the university or contacting the landlord to try and resolve the issue. While the law expects us to tolerate a certain level of irritation and inconvenience in our day-to-day lives, we should not have to accept noise that may become a public nuisance. This is defined as ‘an unlawful act or omission which endangers or interferes with the lives, comfort, property or common rights of the public’. The law suggests trying to first solve to dispute by informally raising the issue with your neighbour or contacting their landlord if they are a tenant. It could also be possible to resolve the matter through mediation with many local authorities providing a services for these purposes. However, if this becomes a ‘statutory nuisance’ then the issue should be raised with the environmental health department of your local authority. The law states: “If they agree that a statutory nuisance is happening or will happen in the future, councils must serve an abatement notice. This requires whoever’s responsible to stop or restrict the noise. “The notice will usually be served on the person responsible but can also be served on the owner or occupier of the premises. If the neighbours continuing being noisy then they face a fine of up to £5,000. If the noise is coming from someone’s house, above the permitted levels, from 11pm-7am then councils can issue warning notices even if’s not a statutory nuisance. If the noise isn’t reduced after the specified period then the council may wish to prosecute and will measure the noise level from within the home of the person who’s complained. If the resident continues breaking these noise levels without a reasonable excuse then the council can issue them a fixed penalty notice of £110, to be paid within 14 days. Or they can choose to prosecute them, which they could also do if the person responsible doesn’t pay the fine on time. If convicted then the person could receive a fine of £1,000.